You said in your letter that you have read many books about Zen. That’s good, but if you are thinking, you can’t understand Zen. Anything that can be written, anything that can be said – all this is thinking. If you are thinking, all Zen books, all Buddhist sutras, and all Bibles are demons’ words. But if you read with a mind that has cut off all thinking, then Zen books, sutras, and Bibles are all the truth. So is the barking of a dog or the crowing of a rooster. 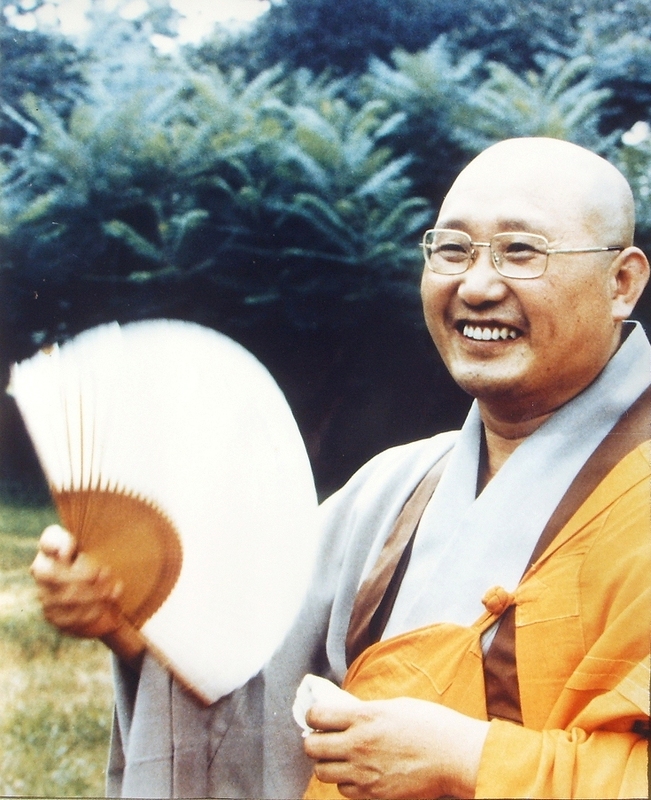 All things are teaching you at every moment, and these sounds are even better teaching than Zen books. So Zen is keeping the mind which is before thinking. Sciences and academic studies are after thinking. We must return to before thinking. Then we will attain our true self. You said in your letter that your practice has been counting exhalations to ten. This method is not good, not bad. It is possible to practice in this way when you are sitting. But when you are driving, when you are talking, when you are watching television, when you are playing tennis, how is it possible to count your breaths then? Sitting is only a small part of practicing Zen. The true meaning of sitting Zen is to cut off all thinking and keep not-moving mind. So I ask you: what are you? You don’t know; there is only “I don’t know.” Always keep this don’t know mind. When this don’t know mind becomes clear, then you will understand. So if you keep it when you are talking, this is talking Zen. If you keep it when you are watching television, this is television Zen. You must keep don’t know mind always and everywhere. This is the true practice of Zen. So throw away all opinions, all likes and dislikes, and only keep the mind that doesn’t know. This is very important. Don’t know mind is the mind that cuts off all thinking. When all thinking has been cut off, you become empty mind. This is before thinking. Your before thinking mind, my before thinking mind, all people’s before thinking minds are the same. This is your substance. Your substance, my substance, and the substance of the whole universe become one. So the tree, the mountain, the cloud and you become one. Then I ask you: Are the mountain and you the same or different? If you say “the same,” I will hit you thirty times. If you say “different,” I will still hit you thirty times. Why? The mind that becomes one with the universe is before thinking. Before thinking there are no words. “Same” and “different” are opposite words; they are from the mind that separates all things. That is why I will hit you if you say either one. So what would be a good answer? If you don’t understand, only keep don’t know mind for a while, and you will soon have a good answer. If you do, please send it to me. You asked why I use words to teach, if understanding through words is impossible. Words are not necessary. But they are very necessary. If you are attached to words, you cannot return to your true self. If you are not attached to words, soon you will attain enlightenment. So if you are thinking, words are very bad. But if you are not thinking, all words and all things that you can see or hear or smell or taste or touch will help you. So it is very important for you to cut off your thinking and your attachments to words. Buddha said all things have Buddha-nature. Joju said the dog has no Buddha-nature. If you open your mouth, you fall into hell. rain falls down to the ground. Thank you for your letter. You say that keeping don’t know mind is difficult. If you examine your thinking mind, then it is difficult. You mustn’t examine your thinking mind. Thinking is okay; don’t worry about it. If you are not upset by your thinking, then it is not difficult to keep don’t know mind. At first you will be able to keep it only for a short time. But if you practice with sincerity, it will keep growing by itself. Your mind is like the sea. When the wind comes, there are very big waves. When the wind dies down, the waves become smaller and smaller, until finally the wind disappears altogether and the sea is like a clear mirror. Then mountains, trees and all things are reflected on the surface of the sea. There are many thought-waves in your mind. But if you continue to practice don’t know mind, this thinking will become gradually smaller, until finally your mind will always be clear. When the mind becomes clear, it is like a mirror: red comes and the mirror is red; yellow comes and the mirror is yellow; a mountain comes and the mirror is a mountain. Your mind is the mountain; the mountain is your mind. They are not two. So it is very important not to be attached either to thinking or to not thinking. You mustn’t be upset by anything that goes on in your mind. Only don’t worry and keep don’t know mind. You say that in the beginning you were enthusiastic and now you are discouraged. Both extremes are no good. It is like a guitar string; if you make it too tight, it will be out of tune and will soon snap; if you make it too loose, it will still be out of tune and will not play. You must make it just right. Too enthusiastic is no good, too discouraged is also no good. Zen mind is everyday mind. You must keep this mind during every action, eating, talking, playing tennis, watching television, always keep don’t know mind. What is most important is how you keep your mind at this very moment. “Just now mind.” If you have free time, it is good to sit. If you don’t have free time, then just do action Zen. But be very careful about wanting enlightenment. This is a bad Zen sickness. When you keep a clear mind, the whole universe is you, you are the universe. So you have already attained enlightenment. Wanting enlightenment is only thinking. It is something extra, like painting legs on the picture of a snake. Already the snake is complete as it is. Already the truth is right before your eyes. It is very true that contact with other Zen students will help your practice. Together action is very important for Zen students. Bowing together, chanting together, sitting together, eating together, this means that your own situation, your condition, and your opinions can disappear much more easily. Zen work is becoming empty mind. Becoming empty mind means having all my opinions fall away. Then you will experience true emptiness. When you experience true emptiness, you will attain your true situation, your true condition, and your true opinions. I hope that you will come often to the Zen Center, do hard training, soon attain enlightenment, and save all people from suffering. Thank you for your letter. You said that I have helped your practice. This is very good. Zen practice is of the greatest importance. You must decide to practice and very strongly keep this decision. This requires great faith, great courage, and great questioning. What is great faith? Great faith means that at all times you keep the mind which decided to practice no matter what. It is like a hen sitting on her eggs. She sits on them constantly, caring for them and giving them warmth, so that they will hatch. If she becomes careless or negligent the eggs will not hatch and will not become chicks. So Zen mind means always and everywhere believing in myself. I vow to become Buddha and save all people. Next, what is great courage? This means bringing all your energy to one point. It is like a cat hunting a mouse. The mouse has retreated into its hole, but the cat waits outside the hole for hours on end without the slightest movement. It is totally concentrated on the mouse hole. This is Zen mind cutting off all thinking and directing all your energy to one point. Next, great questioning. This is like a child who thinks only of its mother, or a man dying of thirst who thinks only of water. It is called one mind. If you question with great sincerity, there will only be don’t know mind. If you keep these three, great faith, great courage, and great questioning, you will soon attain enlightenment. You said in your letter that practice is difficult. This is thinking. Zen is not difficult. If you say it is difficult, that means you have been examining yourself, examining your situation, your condition, your opinions. So you say Zen is difficult. And it is not easy. The truth is only like this. Don’t make difficult, don’t make easy. Just practice. You said that the Zen books which you read shattered your beliefs. That’s very good. But shattered is not shattered. Before, your view was a deluded view. Now it is a correct view. What you believed before was like wanting to hold the rainbow. But the rainbow soon disappears. It never really existed. All things are like this. Before, you believed that all things existed. But now you understand that all things are emptiness. Even so, you must take one step further. Believing or not believing, shattered or not shattered, this is still the area of opposites. You must throw all these opposites away. Then the truth will be only like this. You said that everything was shattered. But this “shattered” is still an attachment to name and form. Originally, there is only emptiness. There is neither shattered nor not shattered. This is the area of the absolute. The absolute is true emptiness. True emptiness is before thinking. Before thinking is like this. Form is form, emptiness is emptiness. So your don’t know mind is true emptiness, is before thinking, is the absolute, is your true self. The names are all different, but they are all names for clear mind. Originally clear mind has no name and no form. There are no words for it. So if you open your mouth, you are wrong. This is why whenever Zen Master Lin-chi was asked a question, he only shouted, “KATZ!” Dok Sahn would answer only by hitting the questioner. Kuji would just hold up one finger. If you are not attached to KATZ or HIT or one finger, then you will understand that the meaning behind these actions is clear mind. The different actions are just different styles of pointing to clear mind. 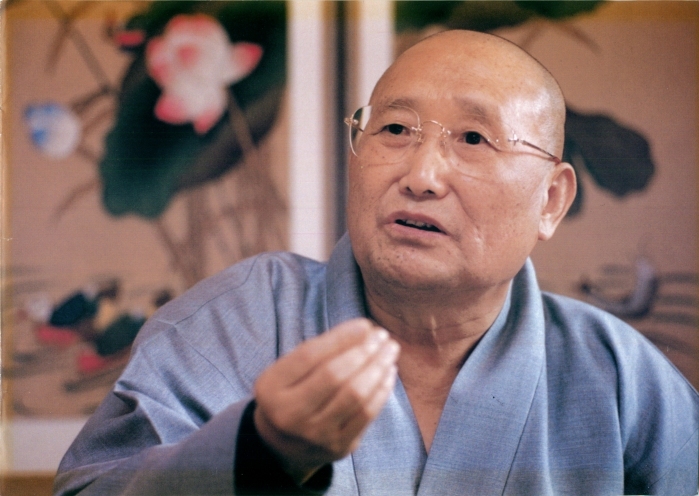 It is impossible to explain clear mind in words, so the Zen Masters used shouting and hitting and holding up one finger to explain. You must put it down! KATZ is only KATZ, HIT is only HIT, one finger is only one finger. You must understand this. When you say, “I know I don’t know,” this is no good. Don’t examine your don’t know mind. Life is Zen. But some people say that life is suffering. How are these different? If you make “my life is Zen,” then your life becomes Zen. If somebody else makes “my life is suffering,” then that person’s life becomes suffering. So it all depends on how you are keeping your mind just now, at this very moment! This just-now mind continues and becomes your life, as one point continues and becomes a straight line. You like Zen, so your life has become Zen. Now you think that the world is wonderful. Your mind is wonderful, so the whole world is wonderful. If you attain enlightenment, you will understand that all people are suffering greatly, so your mind also will be suffering. This is big suffering. So you must enter the great bodhisattva way and save all people from their suffering. I hope that you only keep don’t know mind, always and everywhere. Then you will soon attain enlightenment and save all beings. Here is a question for you: Somebody once asked the great Zen Master Dong Sahn, “What is Buddha?” Dong Sahn answered, “Three pounds of flax.” What does this mean? I will wait for a good answer.